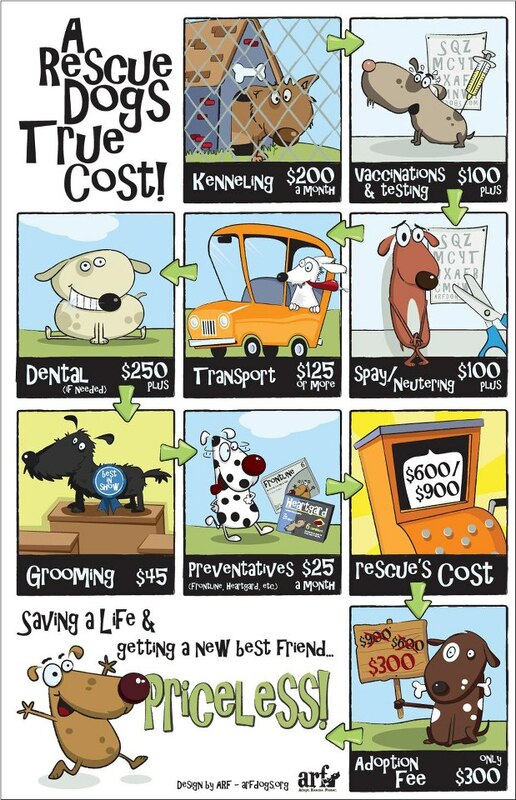 And this doesn't include the cost of surgeries, blood tests, food, supplies, etc. 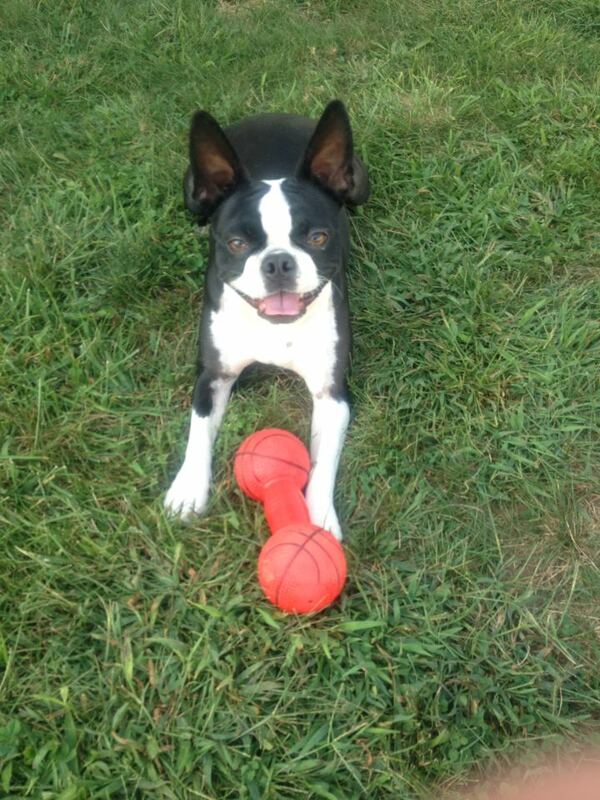 If you’re like most Boston terrier owners, your BT is the center of your universe! So I’m sure you want to do everything you can to ensure that he/she has a long, happy, and healthy life. Here’s a short checklist of some things that will help ensure your dog is a happy, healthy, and well behaved Boston! 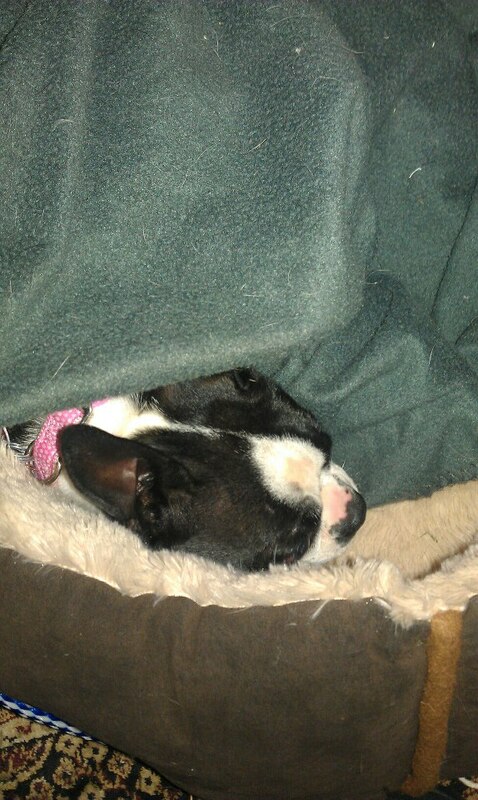 Provide your Boston terrier with plenty of clean, fresh water. Feed your dog a high quality and nutritious diet (remember portion control)! Do not give your dog foods that can potentially harm him, and also avoid table scraps! Exercising your dog will not only help your dog get in better shape, but it will also help you achieve those New Year’s Resolutions you may have set for yourself. For suggestions on exercises, check out this article: Exercise Your Dog: It’s Vital To Their Health! Dogs love to learn new tricks! 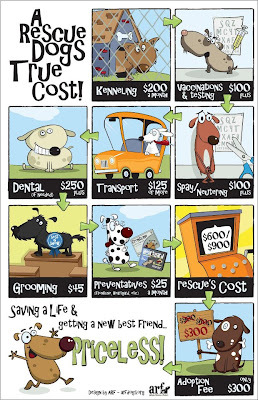 If your dog already has basic training down, why not try something a little more advanced? 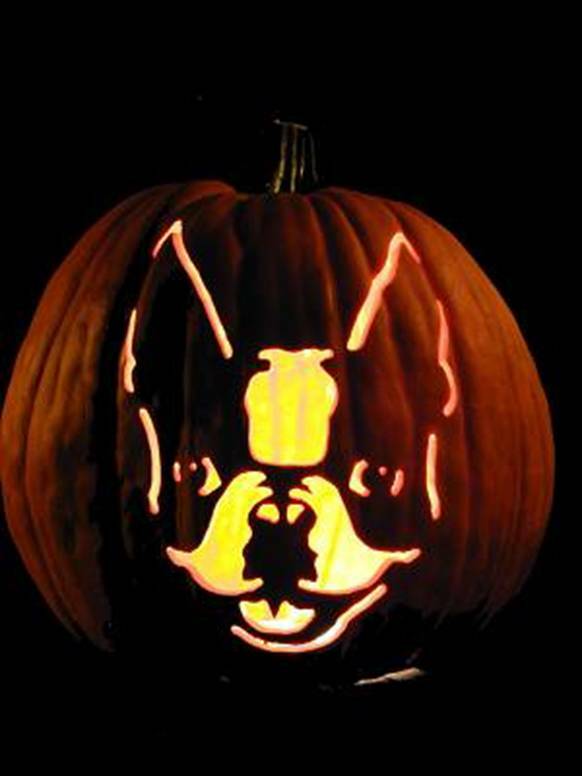 Train your Boston Terrier to ring a bell, dance with you, or even get the mail. You’ll enjoy spending this time with your dog, and these new tricks will also impress your company! Vaccinations are crucial to preventive health care for your dog. Read more on the production and administration of vaccinations; choosing vaccines; and the vaccination schedule for dogs and puppies at PetEducation.com. Preventive care is so important when it comes to your dog’s health. I reviewed popular flea and tick medications here. Be sure to check it out, and then get your dog on preventive care ASAP if he/she isn’t on these medications already! Your dog is happiest when he/she is clean and well-groomed. A healthy skin and coat is extremely important to your dog’s quality of life! You should also be diligent about keeping his toenails clipped, and brushing his teeth! Dental care can help prevent an array of health problems in the long-term. 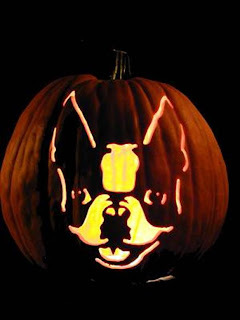 Be sure to check with local animal shelters or Boston Terrier rescue groups to see what you can do to help. You can make a donation, volunteer your time, help organize a fundraiser, or volunteer to be a foster parent. New Foster Hope. Hope is a 10 lb little lady. She was a mill mommy, but because she is deaf, the miller didn't want her anymore, .....so we are happy to have this little peanut! 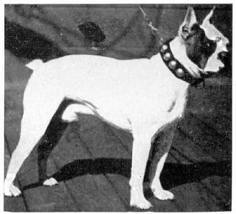 Turns out, Boston Terriers were originally bred from the Boston Bull breed. 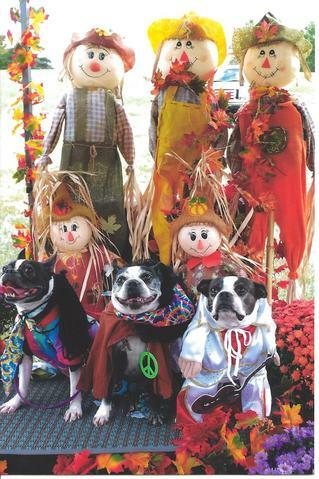 As Boston terriers became more refined they started to take on a new look. Breeders wanted to make them smaller, and started paying attention to body proportions and markings. 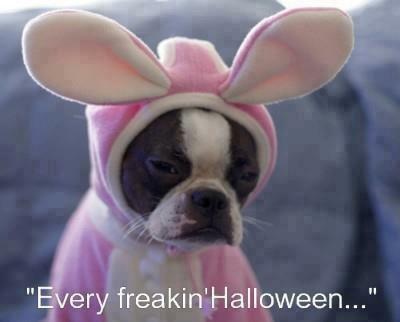 And remember, don't let your pup get into the Halloween chocolate stash. Hi, all. Just thought I would give a brief update on forever foster Beanie. You may remember that Beanie came into our rescue due to dog aggression according to the shelter. After getting him home, it appears that he is highly anxious and has never been socialized or trained. He may not have come from a puppy mill but he is just as traumatized by the world in general. He is a beautiful healthy boy and get along well (for the most part) with the gang here. We have been working on his social skills and manners for some time and he has come a long way. We still have quite a ways to go but there is hope. I was able to take him and two of the resident pups to a recent fundraiser for the local humane society. They do a costume contest and this year's theme was Woofstock. I made costumes for the gang and Beanie - who was dressed as a hippie with tie dyed shirt, bellbottoms, long hair - was able to tolerate being around a pretty fair number of dogs for about an hour and a half before he needed a time out. He wasn't friendly, but he didn't want to attack them which is a huge improvement for him. 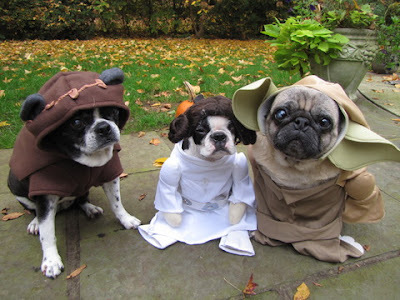 I am attaching a picture of the dogs in their costumes. Beanie is the one on the left. He had a problem keeping his "hair" on! LOL. By the way, the pups won the contest. 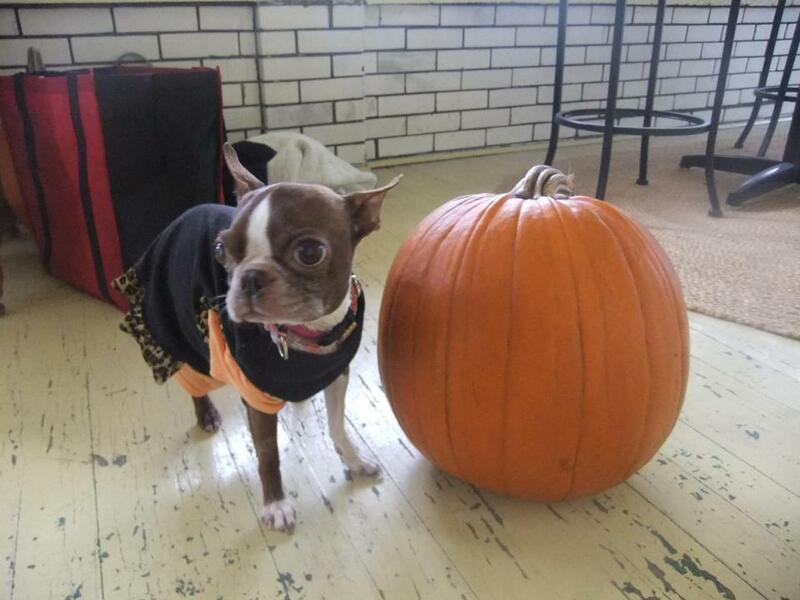 It's the Great Pumpkin, Roxy! There are a few things you need to know before you actually start potty training a puppy or adult Boston Terrier. Take your Boston Terrier for walks at the time that he usually does his potty. Take him out to the yard and then to the same place there every time he needs to answer nature’s call. Praise your Boston Terrier after he eliminates at the right place. 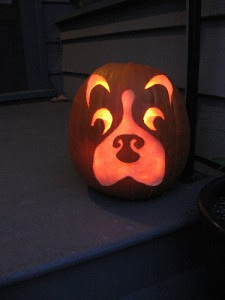 Some Boston Terrier owners even give treats to their dogs. But remember to do this every time he does it right. He will relate the rewards to his having “done it right” and zero in on the spot where you want him to defecate regularly. 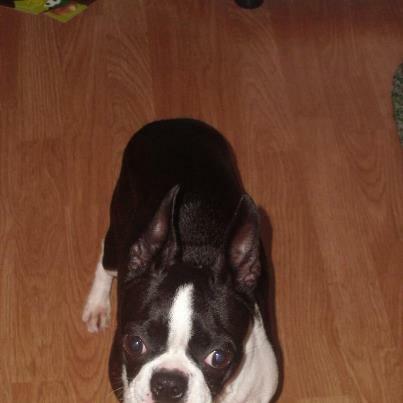 Until your Boston Terrier has been fully potty trained keep him under strict vigilance. Do not let him roam around the house freely. Use a crate. 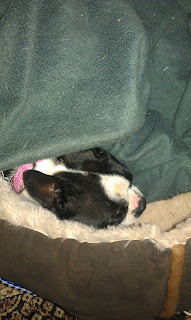 A crate-trained Boston Terrier is usually very happy to get his own den. The advantage of crating is that dogs do not soil the place where they sleep. So, he will naturally not eliminate inside the crate. Use positive reinforcements while housebreaking puppies or adult dogs. Do not scold or hit him as you will gain nothing by doing that. He will only associate punishment with your return from outside. If you catch him in the act, a stern ‘NO’ or ‘FREEZE’ will do. 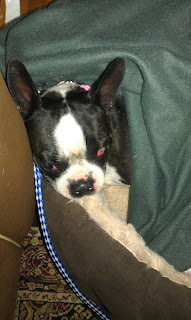 It will startle the Boston Terrier enough for him to stop pooping. Be prepared to return to a soiled home if you are keeping your Boston Terrier home alone for more than 4 hours as separation anxiety is quite common among home – alone dogs. Accidents will happen. 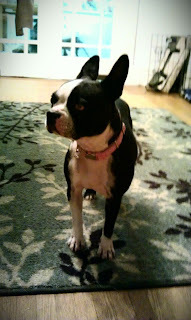 It is unusual for a trained adult Boston Terrier to work against its house training. But medical problems or health disorders may lead to sudden accidents. Many dogs mark their territory. These can be a leg of a table or a particular wall. Intact male and female dogs mark their territories by urinating. 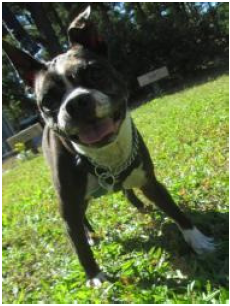 Use deodorizers to spray on the places where your Boston Terrier has marked. If you are patient and are ready to accept that house training a dog takes time, even months sometimes, you will end up having a good housetrained Boston Terrier. One or two syllable names are best. Dogs find it easier to learn short names. You’ll most likely be calling your dog’s name a lot, so make sure it’s something easy for you to pronounce. Chose a name that suits your dog’s personality and behavior. Most importantly- pick a name that you like, you’ll be using it A LOT! Daisy has just arrived, thanks to Sanctuary at Haafsville volunteer Jann! She is a tad timid, but sweet and interested in sniffing all the smells here! Her eye looks like maybe her 3rd eyelid is infected, but she has an appointment with the vet to have it checked. Thanks to Erin Sullivan for stepping right in and giving Daisy an indoor home, perhaps the first she has ever known. 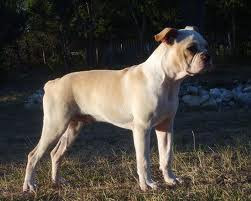 Daisy was from a very small family breeding operation. Daisy has had 4 litters in her 5 years, and lived outside in the cold, having been kept in an outdoor pen, Daisy is exhibiting some seperation anxiety symptoms. She is definitely a little velcro dog! The vet found that both of her eyes are abnormal, but the true cause is not clear. Perhaps older injury or damage that has scarred, and new infection. The eye has several strange things going on, has become vascularized, there is fluid and swelling on the cornea, and several tiny spots can be seen in both eyes. At this point we are not sure if the eye will ever look normal, or how much vision she really has in it. Daisy has been started on Neopolybac eye ointment 3x a day, and it will be rechecked in 2 weeks. All things considered, she was very good for her exam, and very sweet with everyone she met. Daisy needs to be spayed ASAP, but after her surgery and once her eye is better, she should make a great pet for someone! Despite being confined to the laundry room due to kennel cough, Sara has already made herself comfortable in the Dolan-Delaney home. On Friday October 19th, we picked up "Winston" from the Ocean County Humane Society at Popcorn Park Zoo in Lacey Township. According to the staff there, they found Winston wandering their long driveway early last month. Evidently, he was dropped-off and left there by his owner. The staff took him in and began immediate care. Since he was abandoned, they have no legitimate information about him. He appears to be around 8 years old, and suffers from a broken elbow on his left front leg and has cataracts in both eyes. He has not been neutered. He is smaller in confirmation than most males, but otherwise is a fine looking dog. The Society had him on medication for his elbow and also for kennel cough. We are continuing this treatment. The staff administered all shots (since he had no prior medical history), confirmed there is no heartworm problem and inserted a chip whose data remains open until a permanent home is found. They have indicated that they will also neuter and perform surgery on his elbow in a couple of weeks, once his kennel cough condition is completely gone. Winston is clearly not his name. He does not respond to it at all. He does not seem to respond to our voices either, which leads us to believe that he may also be hard of hearing. Since we arrived home, he has stayed away from the other dogs, upstairs with me (Kim) most of the time. I carry him around a lot. He has no problem with this and seems to enjoy the attention. As I write this note to you, he is laying very content, on the floor next to me. Last night, we paced him in a cage for bedtime. Well, that was not his cup-of-tea! We whimpered and then began to howl like a beagle. We guess this was his first cage adventure. Evidently at the Humane Society he had a dog run. When it became obvious that this situation was not stopping anytime soon, we placed a gate at the top of stairs and provided him a nice dog bed, which he promptly claimed and which seems more his style. When the pack is quiet (rarely), we will take Winston outside to do his duty. He has a noticeable limp, but does not show signs of being in pain. He spends a lot of time smelling everything in the yard, and with six other dogs, there must be plenty of things to smell! Because we have a lagoon, we need to watch him at all times. He clearly explores more using his sense of smell than his sight. Winston is actually a handsome, affectionate guy that once restored to heath, will prove to be a great addition to his Forever Family. We look forward to helping him to that goal! Thank you Evette and Kim! I know you already have so much on your plate but went and got this little guy right away! Thank you so much for taking him in! The Listers had me over to see the Bonnie and Buster. They are doing great. Very few accidents. They are in love with them. Matt and I are so relieved. Buster's LFT's are high again so he will have to remain on his med's for the rest of his life. At least the med's are inexpensive. With the med's he will lead a normal life. They have bonded with the Listers, but Irene told me Buster sat at the door for an hour after I left. He's such a baby. I just loved them, but Buster really got my heart. I guess because he was so fragile. Also in a thunderstorm Buster got scared and tore up his memory foam bed! The pieces were all over the bedroom. Now I know you were told about the condition of the Listers' home. The inside looks like a picture from a magazine. She must have been horrified when she came home and found that mess.. MANY THANKS to Charlene and her son Matt for being there for Bonnie and Buster and for being such loving and wonderful foster parents, and for finding Bonnie and Buster their perfect forever home TOGETHER!